Approaching McKenzie Pond on the Jackrabbit Trail. Photo by Phil Brown. We got several inches of light snow over the weekend, so I went to the Jackrabbit Trail on my lunch hour to check out the ski conditions. 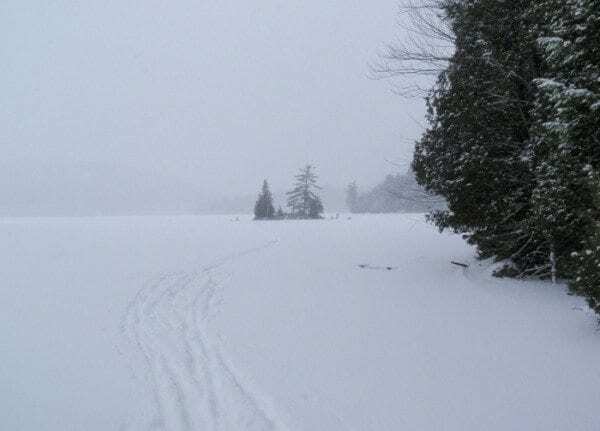 I skied the two miles from McKenzie Pond Road to McKenzie Pond. 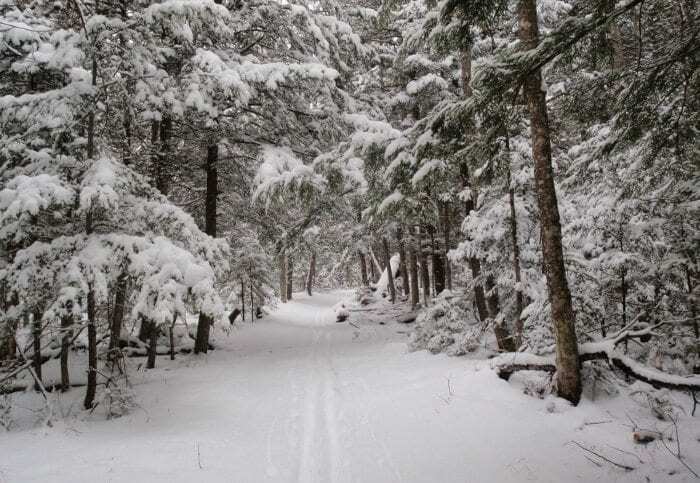 The woods were beautiful, with fluffy snow adorning the branches of the evergreens. The trail looked nice, too. Unfortunately, there was little or no base underneath the fluff. For the most part, this was not a problem. In several places, though, roots and rocks lurked beneath the surface. The diciest spots were on two small downhills on the return trip. Both sections have rocks. I took these slowly. If the trail gets skied and the snow scraped off, I imagine the downhills will get worse. 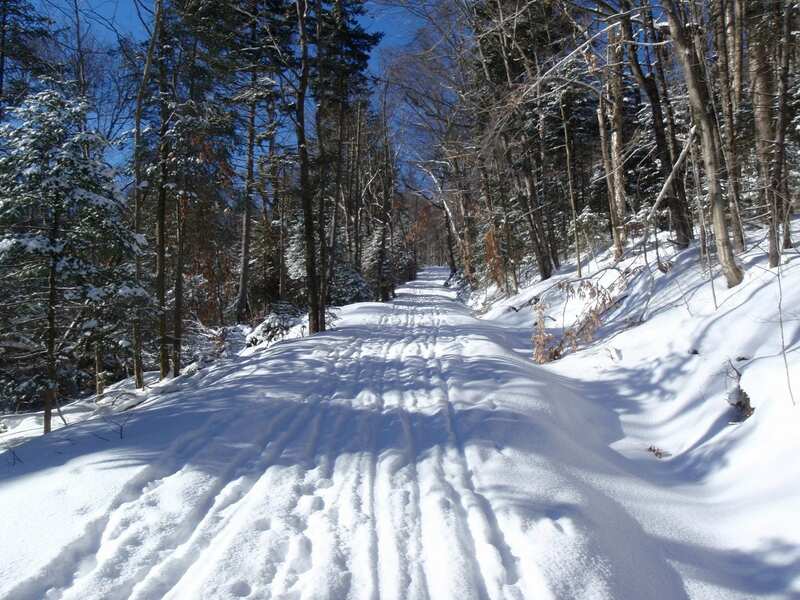 Thankfully, most of the route to the pond is flat and fairly smooth and doesn’t require much snow to be skiable. At the turn for the pond, I saw that some skiers had come down the big hill that starts in the col between McKenzie Mountain and Haystack Mountain. I don’t know if they skied the whole hill (it’s a mile and a half) or what the conditions are like. 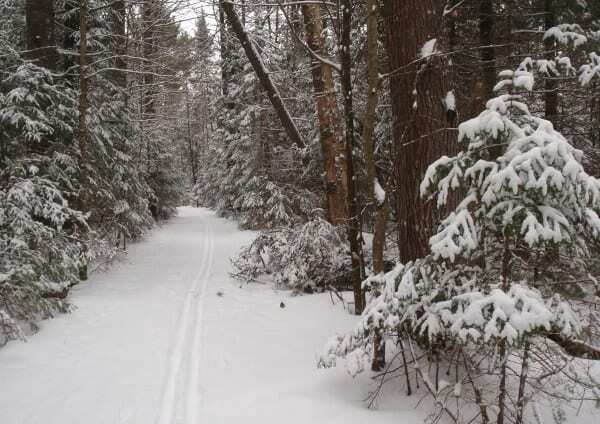 The Adirondack Ski Touring Council says the Jackrabbit on the other side of the pass is skiable. Conditions are not likely to improve right away. It’s supposed to be cold all week, but not much snow is forecast. Given the lack of base on the trail to McKenzie Pond, I would be careful about where you ski. Old truck trails, old logging roads, and old woods roads are the best bets. 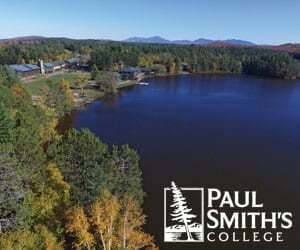 Another option is pond skiing. On Sunday, I skied on a number of ponds in the St. Regis Canoe Area. Conditions on the ponds were superb. The carry trails were mostly skiable, with some bare sections. After Sunday night’s snowfall, they’re probably in better shape today. 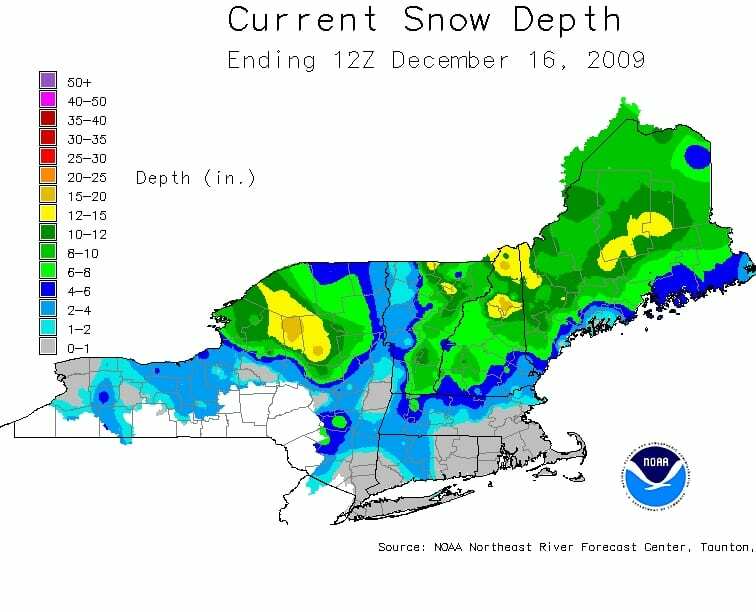 For updates on backcountry-ski conditions, check out the Adirondack Ski Touring Council website and the Adirondack Backcountry Skiing page on Facebook. McKenzie Pond this afternoon. Photo by Phil Brown.